Worth the low cost of livingsubmitted by Stefan G. - Feb 04, 2019 |Recommended: YesI Whole heartedly recommend this apartment community Although it has some issues any property does , the great location in midtown, the awsome staff from the smart harworking maintenance team, gene and dashan, all the way to management and the community assistants , make this place worth it. Big improvements to the property since i moved in in 2018. Fairsubmitted by Kailun L. - Jan 03, 2019 |Recommended: NoFacilities and maintenance are okay, but roaches are annoying they were there before we arrive . We do the cleaning virtually everyday and seldom keep the trash in the kitchen overnight, but just cannot get rid of them. What can be done by the pest control is also limited. Apartment reviewsubmitted by Gina M. - Jan 02, 2019 |Recommended: YesExperience was excellent. Problems were quickly resolved. Management very professional and helpful. Would recommend to anyone seeking housing. A review for living in 100 Midtownsubmitted by Jun Q. - Dec 24, 2018 |Recommended: YesI've lived in an apartment of 100 Midtown starting from this Fall. My overall evaluation of the apartment is pretty good, especially the location of my apartment which is only 0.2miles away from my working place at Georgia Tech. It's great, people are nice and the furnitures are great,too.submitted by CHIH-YI L. - Nov 29, 2017 |Recommended: YesIt's a convenient place to live, there is publix, gas station around and one Chinese restaurant down from the apartments. Very nice place for livingsubmitted by Seonyoung Y. - Jul 31, 2017 |Recommended: YesI have lived here from Jan. 2016 to now, here is the best place for living, especially GT students. response from property - Aug 03, 2017 Thank you for your kind review!! We are so glad we get to spend another year with you as a resident. response from property - Aug 03, 2017 Thank you for your review! OK , but not so goodsubmitted by Shu L. - Jun 14, 2017 |Recommended: YesIt is very convenient to live here since the apartment is close to the university campus. But some equipments here really do not run well, like the elevator, network etc. Good.submitted by Lin W. - May 20, 2017 |Recommended: YesConvenient and very closer to Georgia Tech. Staff of 100 midtown are friendly, responsible and nice. Maintenance service is timely. response from property - May 23, 2017 Thank you for your review!! A convenient place near the Georgia Tech. A good place to study and live. submitted by ZEFANG L. - Feb 10, 2017 |Recommended: YesIt is a very convenient to go to class from here. If you get up late and find that there are only 15 minutes before the class. Don't wrong, it is enough for you to go to the classroom. Although there may be some parts need to be improved, such as elevator and air conditioner, 100 midtown has been making efforts to solve these problems. response from property - Feb 10, 2017 Thank you for your kind review Zefang! We have enjoyed having you as a resident. 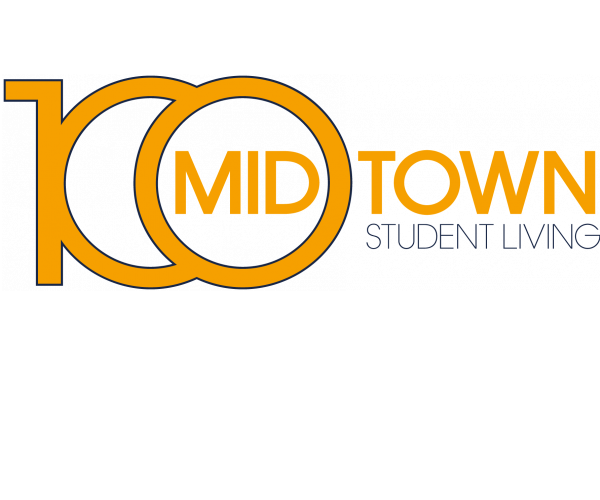 We are continuing to work on making 100 Midtown a great place for you to call home and feedback like yours helps us. We hope you continue to enjoy your time with us and remember we are always available if there is anything we can help you with.